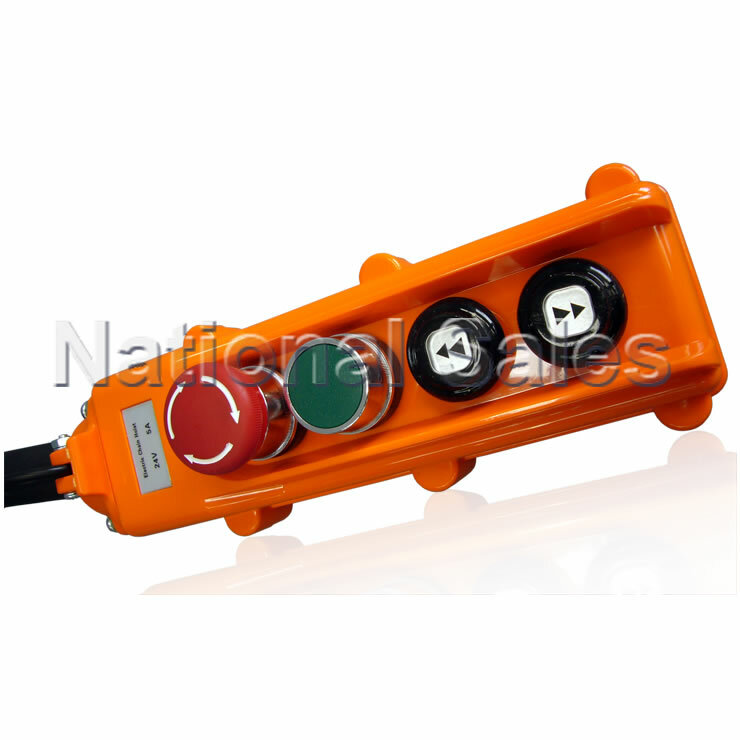 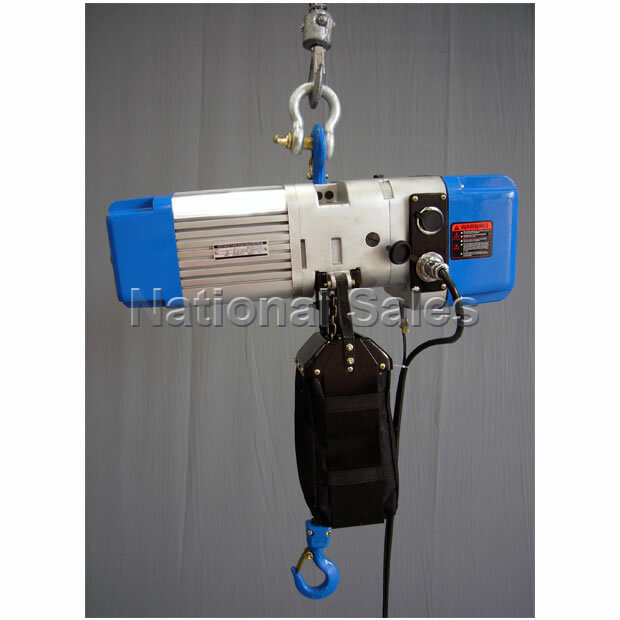 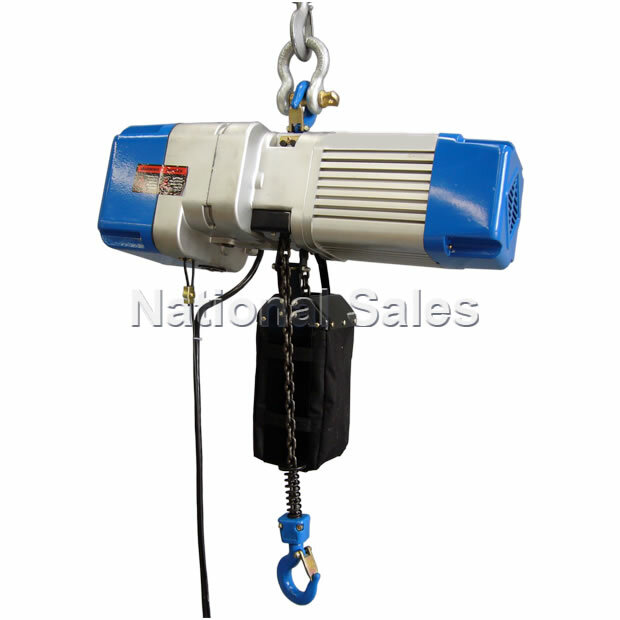 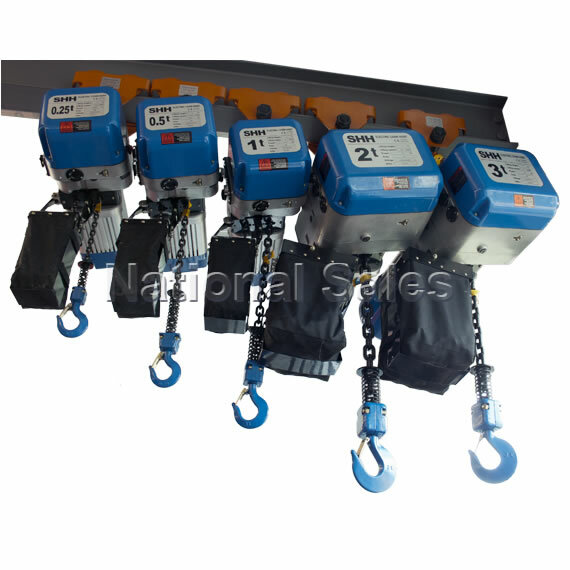 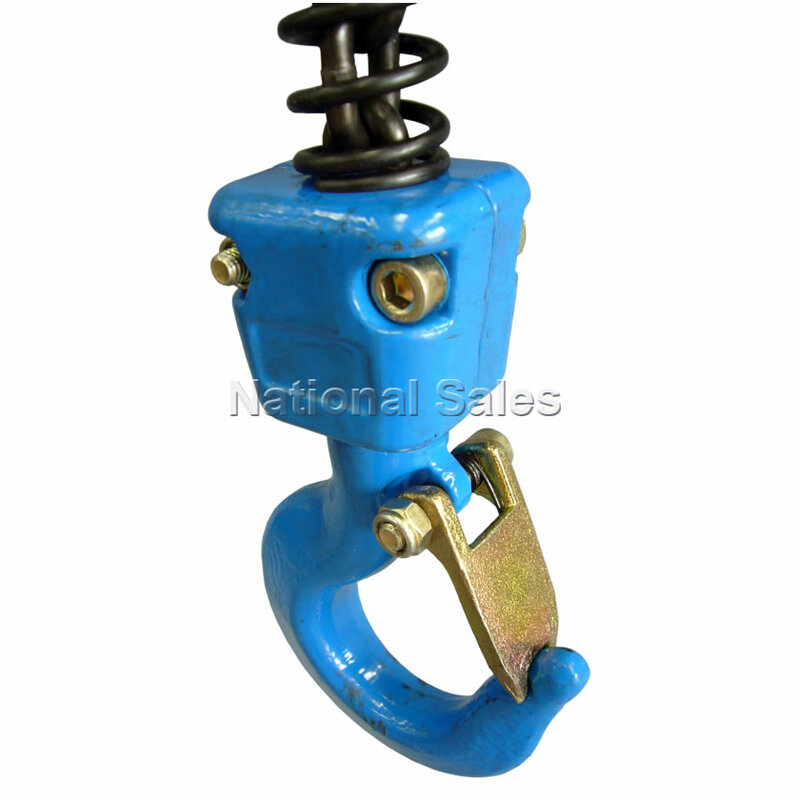 National Sales 0.25 tonne Electric Chain Hoist represents both quality and exceptional value. Stock on the ground for immediate despatch. 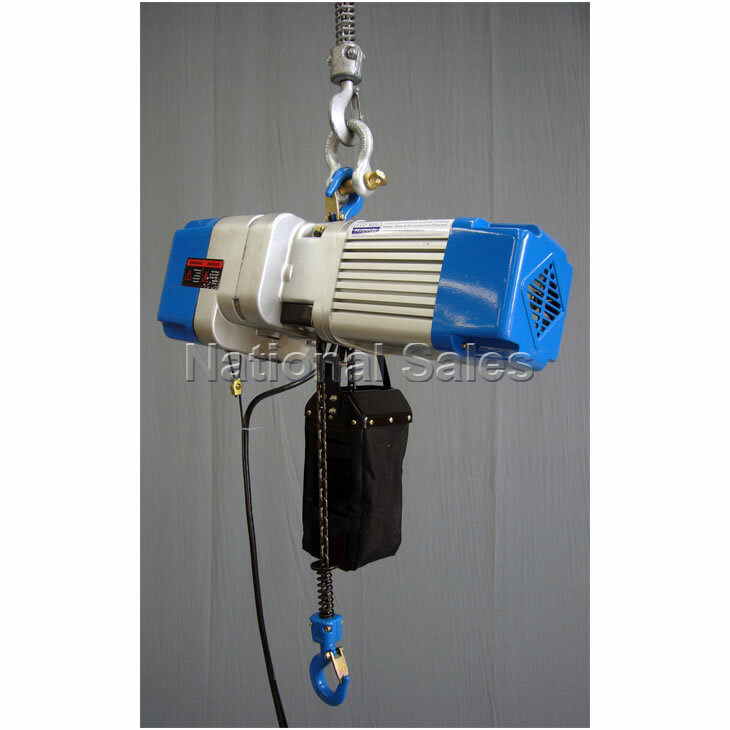 The ELECTRIC CHAIN HOISTS are a quality range of 415 volt three phase electric hoists designed for use by overhead crane.